Posted on February 27, 2017 by Aliya A. A Series of Unfortunate Events, released on Netflix, is taken from the book series A Series of Unfortunate Events by Lemony Snicket. I watched the show, and, personally, I really liked it. I had read the books a few years ago, so I don’t remember exactly how similar the series and the books are, but the way that the Netflix series is set up was intriguing. The narrator (Lemony Snicket), is played by Patrick Warburton, and repeatedly breaks the fourth wall as he explains what is going on with the Baudelaire orphans. The children lose their parents, as they did in the books, and have an incompetent adult looking after them, something viewers will quickly realize after watching the children’s first meeting with them. Also similar to the books, Count Olaf is constantly trying to get the children’s’ fortune. The end of the show (if I remember correctly, it’s only eight episodes) ends on a cliffhanger, since it doesn’t finish the whole book series, but ends somewhere in the middle of the series. Throughout the series, there were moments where I was face-palming myself or getting mad at the characters (mostly the adults), but overall I really liked the acting and the plot. Again, I don’t exactly remember how things went in the original series, but I thought that a lot of the acting personified the book characters. I would definitely recommend this show to anyone interested, especially if they’ve already read the books. 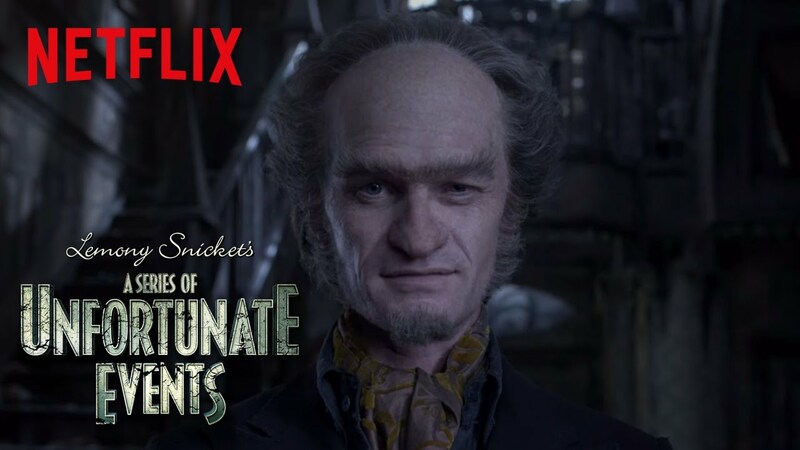 This entry was posted in Movies & Multimedia and tagged adaptation, lemony snicket, netflix, series of unfortunate events by Aliya A.. Bookmark the permalink. I also enjoyed the series! I recently re-read the Series and the Netflix show is pretty faithful to the plots. My favorite part was the aesthetic and the way they had the sets. Thanks for the review! I’ve been wanting to watch, but have been scared to because I didn’t know if it would be adapted badly or not. Thank you so much for reassuring me, and I can’t wait to watch it!